18 oz. 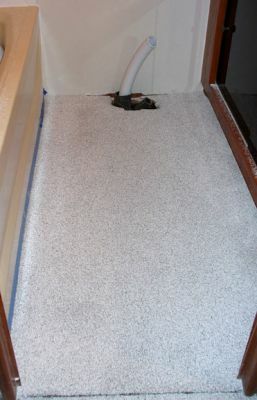 fiberglass weave is epoxied to the existing parkay floor to insure a solid stable surface for installation of the new seamless floor. Good Enough for White House! Superior Systems is owned by the "best man" at our wedding. 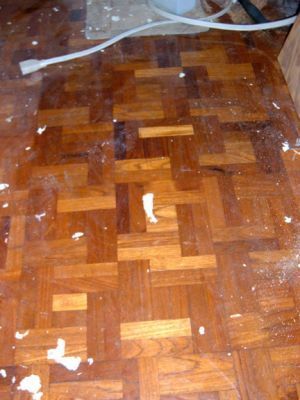 The surface is gorgeous, will not allow permeation of anything that may become foul and is easily cleaned. 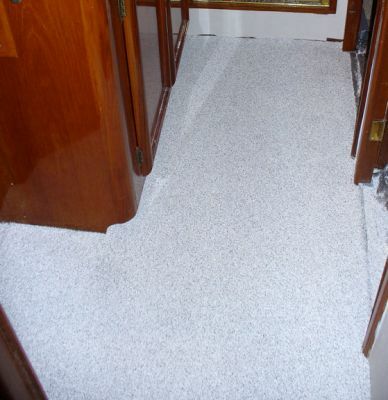 Gary did this surface on Washington's White House kitchen and now on our boat. He does a lot of important work! All restaurants should be required to have this system in their kitchens and heads! 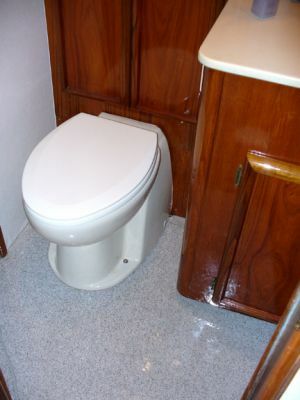 It is sanitary, it makes sense, and is cost effective. The Master Stateroom head floor progresses. 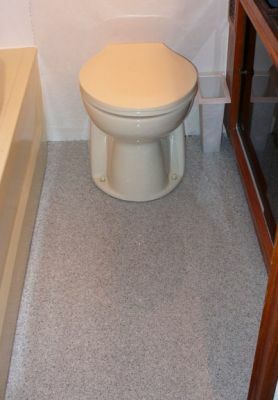 We could not be more pleased with the seamless floor. 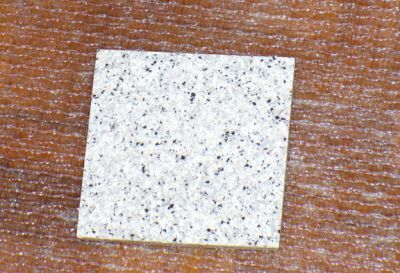 It adds the very rich look of granite. WOW! Parkay history gives way to rich granite stylin. 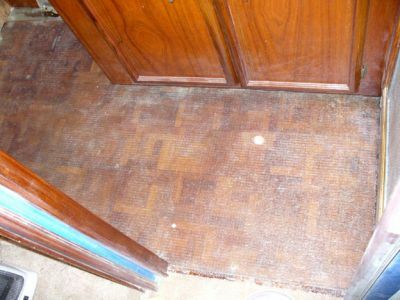 Easy to clean and a bright nice contrast to the glossed teak. We love it.